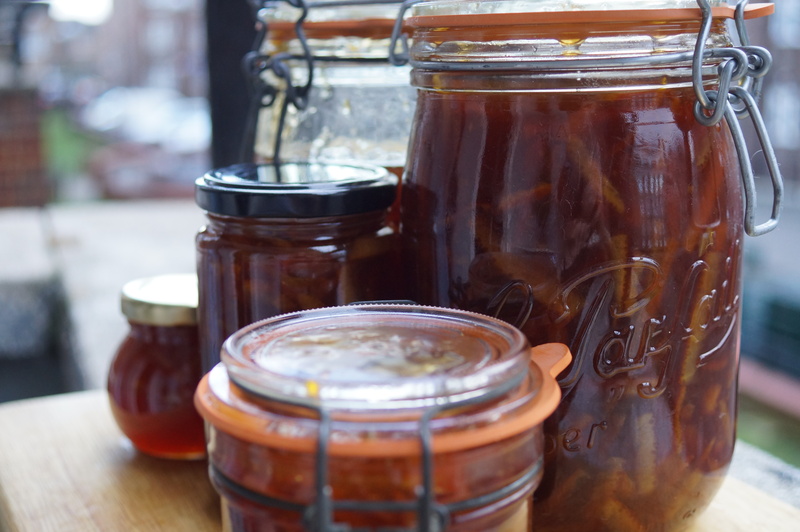 It’s marmalade season…although in terms of eating seasonably it doesn’t appear to be my year! 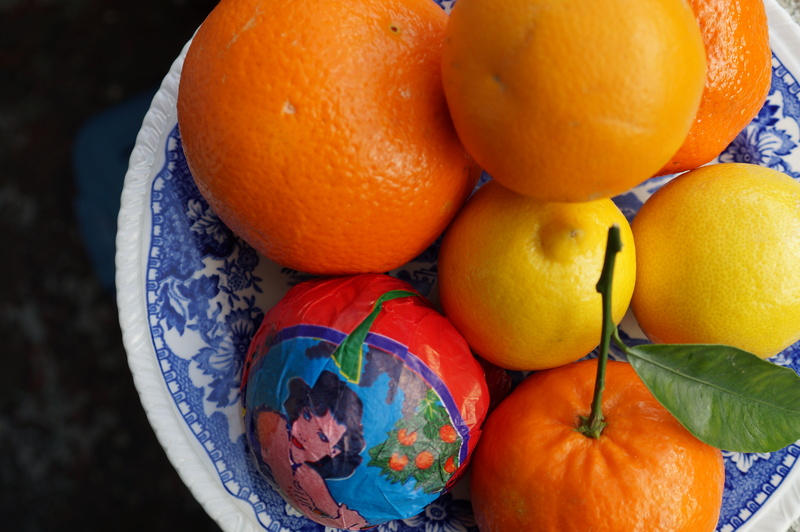 Instead of Seville oranges I picked up a selection of oranges, clementines and lemons. I like recipes you don’t have to read (odd for a food writer I know) like those cake recipes where you use a yoghurt pot to measure out all the other ingredients or the “half fat to flour” rule for pastry. 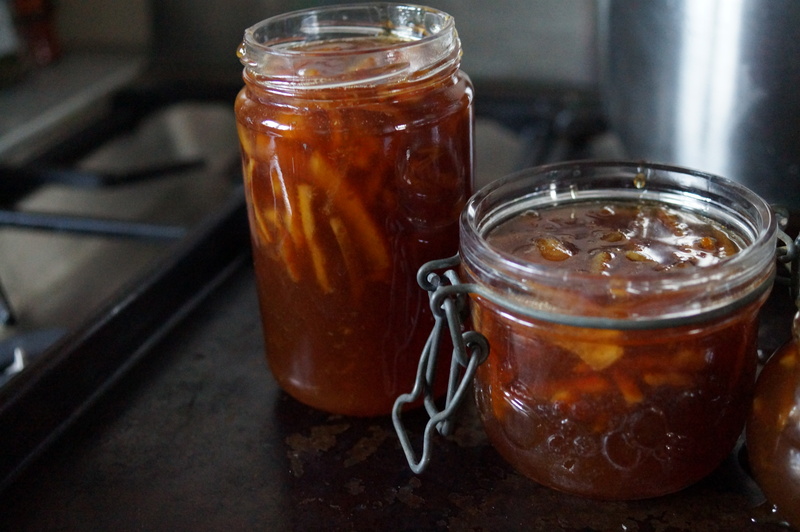 For this marmalade I weighed out all he fruit I’d bought and it came to 1.3kg. For the sugar I used double that weight so used 2.6kg of demerara and the same number but in litres of water (2.6l). This seemed to be the simplest way and hopefully a handy rule of thumb for future marmalade adventures. This batch is Oxford Marmalade for 2 reason: the first is the traditional addition of black treacle and the second (to make it really authentic) is that I sent a jar of the finished marmalade on at very own vacation to Oxford University! 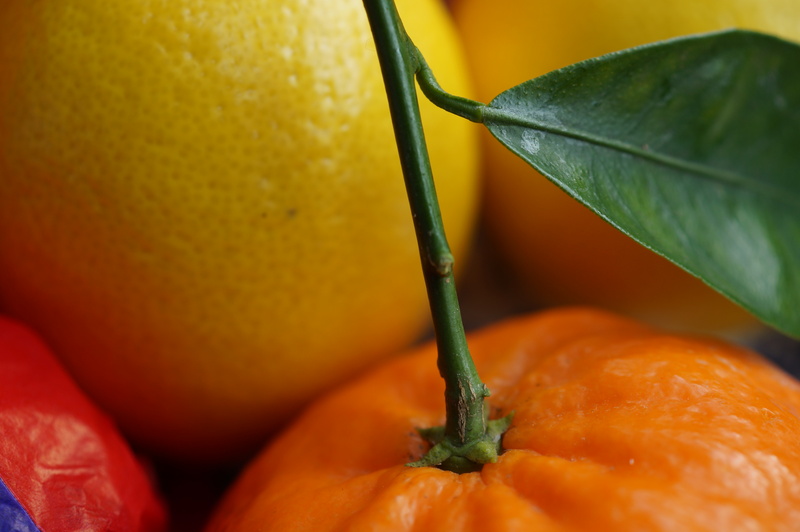 1) The first step is to prepare the fruit. 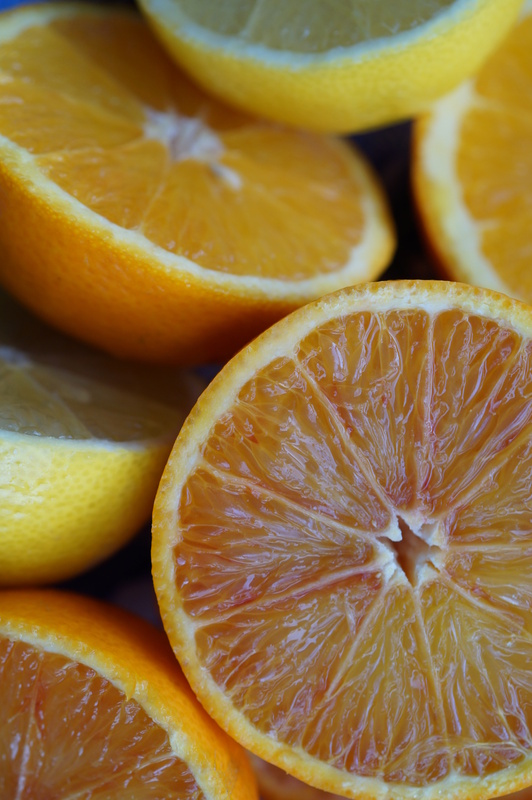 Cut each orange or lemon in half and squeeze out all the juice into a bowl. 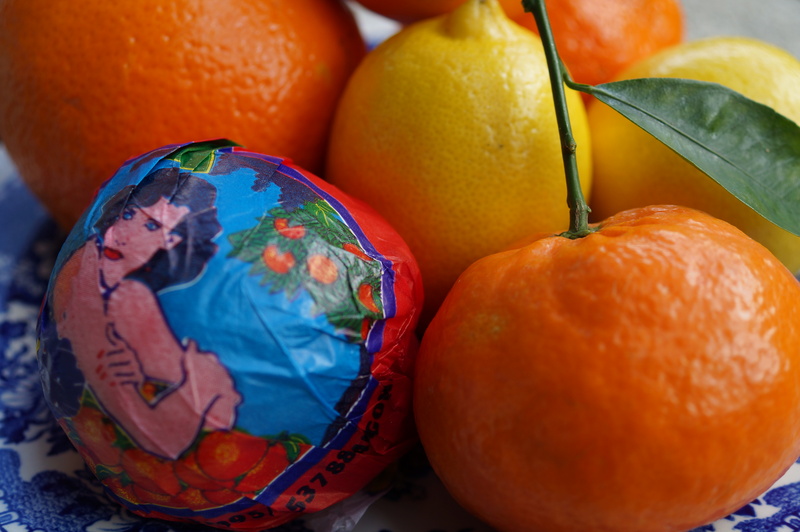 Then turn the fruit halves inside out so you can pull the flesh away from the peel. Put everything except the peel into the bowl with the juice. 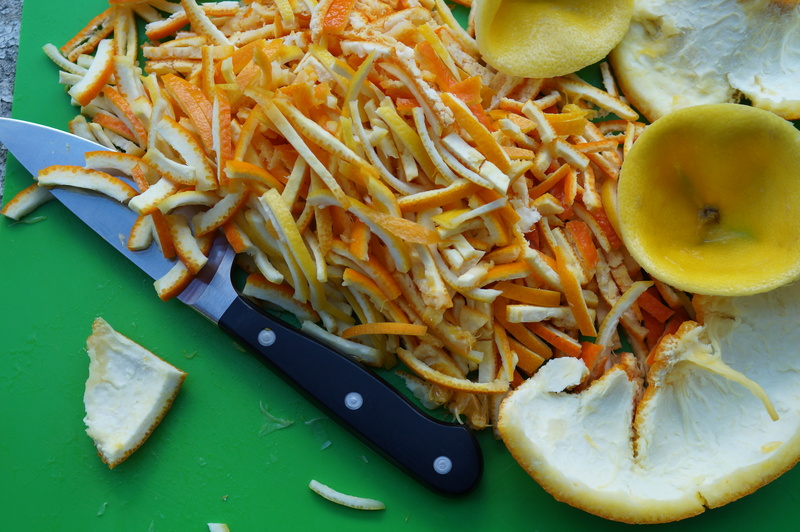 2) Once all the fruit had been separated like this, slice the peel up into matchstick sized pieces and set aside. 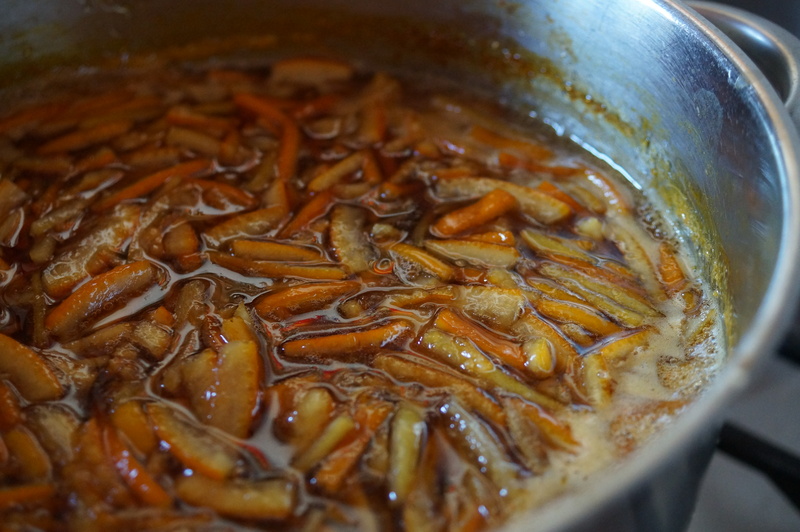 3) To cook the marmalade put the water, fruit juice, pips and flesh into a pan and bring to the boil. Allow the mixture to bubble away for about 15 minutes. 4) Then pass the mixture through a metal sieve to get rid of the pips and bits of fruit. Put the strained fruit juice back on the heat and add the chopped peel. Bring back up to the boil for an hour or until the peel is soft and the juice has reduced by about half. 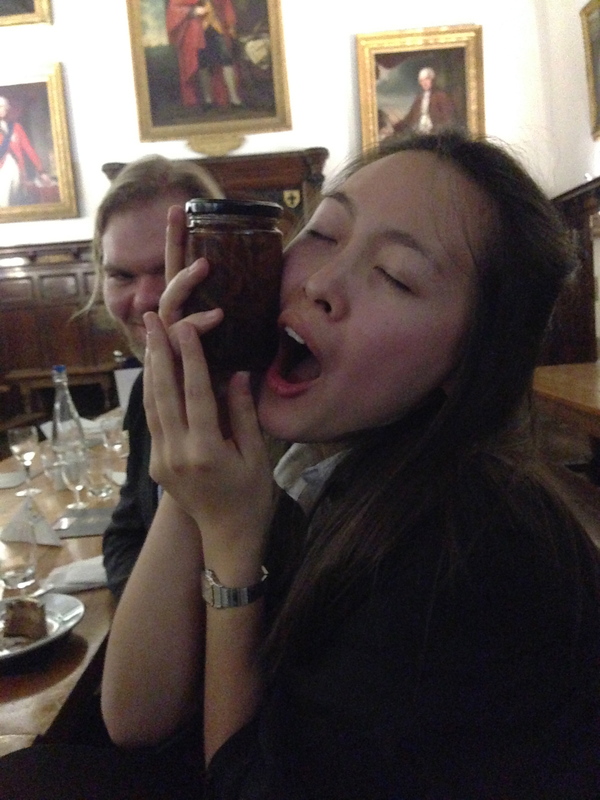 5) Once the peel is soft you can add the sugar and a tablespoon of black treacle, this is the slightly scary part. You need to make sure that the sugar dissolves and then heat the mixture until it reaches the correct setting point. The traditional (fun) way to do this is to put a plate or saucer in the freezer and then when you think the marmalade is ready you put a few drops of it onto the cold saucer and allow it to cool. Then if when you press the blob of marmalade with your finger it wrinkles (the marmalade not your finger) then it’s ready. 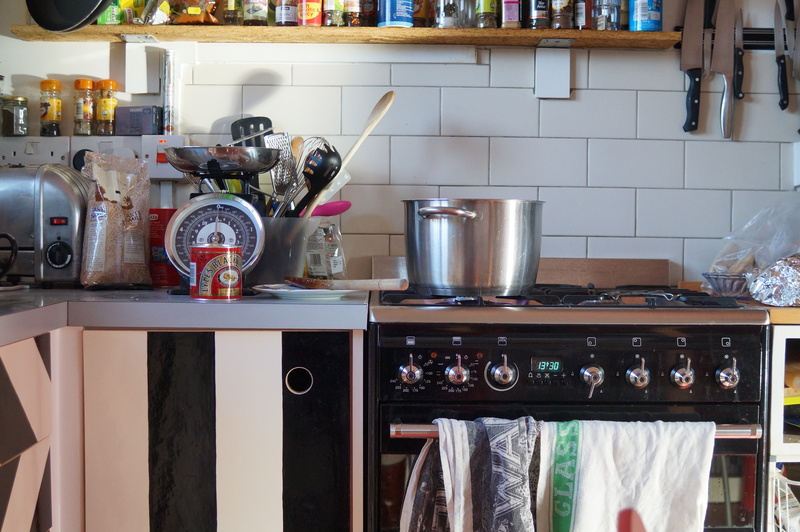 But, keep watching your marmalade and make sure that your saucepan is very large…if you take your eye off what is essentially boiling sugar, it will try to make a break for it and that’s not a good look! 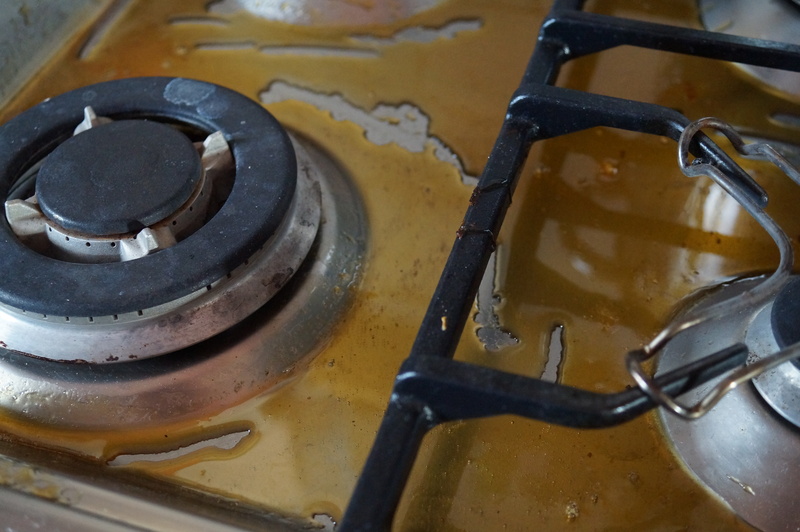 If you can see it starting to rise up make sure your hob gets turned off quickly and stand well back while it calms down. Don’t try and touch it – it’s properly hot! 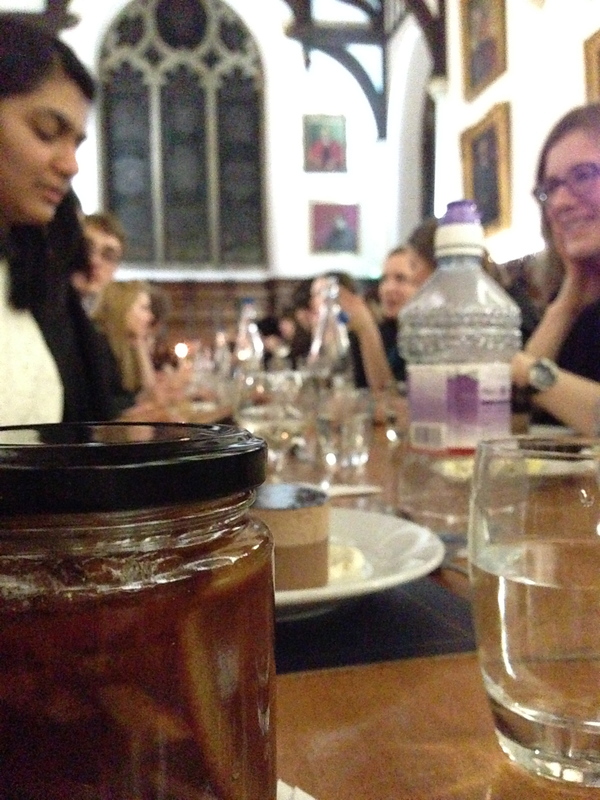 6) When it’s ready put the marmalade into clean, sterilised and preferably warm jars. I wash mine really well with hot water and washing up liquid and then put them into the oven to dry before carefully pouring in the hot marmalade. My marmalade did try to escape from the pan but it does clean off pretty well with a soft cloth and warm water. 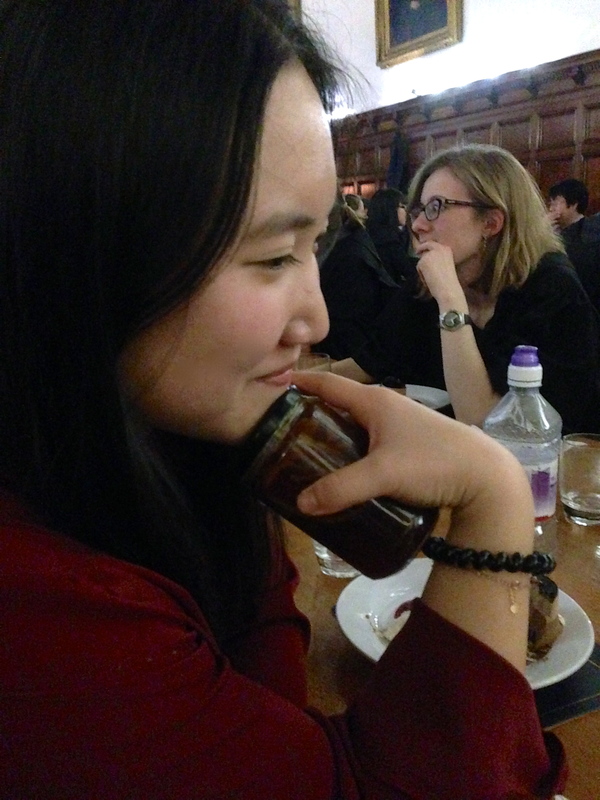 Clearly my marmalade had somewhere it wanted to be…so I sent it on a road trip to Oxford, I think it had a good time! Thanks for sending me these photos Damian!